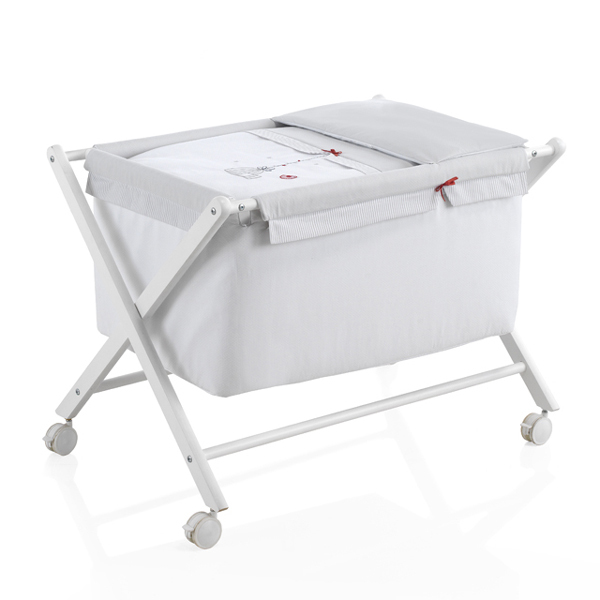 Wooden folding cradle with plastic wheels. Includes special mattress with cover, 50 x 78 cms. aprox.